One dishonest scientist sacked, another one is welcomed. At least this is what it looks like at the Spanish National Centre for Cardiovascular Research, CNIC, which seems to be recruiting their principal investigators through the whistleblower platform PubPeer, as the scientist who alerted me to this development quipped half-jokingly. The new recruitment at the Madrid institute is the regenerative medicine researcher Pura Muñoz-Cánoves, whose papers contain evidence of data manipulation in form of band and lane duplications in western blots and gels. CNIC only recently sacked the ERC-funded heart regeneration researcher Susana Gonzalez. Their investigative report is confidential and not available to public, though one can safely assume misconduct was in play. Gonzalez quickly found another job, at a different Madrid research institute, her €2 Million ERC funding is not terminated, but suspended while ERC investigates (see my brief report here). Gonzalez’ research specialization is cardiac muscle ageing and regeneration (or the data manipulation therein), that of Muñoz-Cánoves is just the same, but for the skeletal muscle. The latter is therefore a suitable replacement for the former in every respect. “The funding as far as I know is CNIC, meaning national budget is directly injected in the labs. I honestly don’t get it. Pura will keep her joint affiliation at UPF [Universitat Pompeu Fabra, in the Catalonian city Barcelona, -LS], and establish a second lab in Madrid. So she will get the money in Madrid to still keep doing her ‘research’. The truth is that she has little money in Catalonia”. The Catalonian muscle stem cell researcher Muñoz-Cánoves was elected as member of the prestigious European research organization EMBO in May 2015, just some months later first evidence of data irregularities in her papers appeared on PubPeer. “Although we are aware of the process that Dr. Muñoz initiated to clarify the situation with all papers cited in Pubpeer because she informed us, the CNIC did not participate in any of them. We do not have the original data, which belong to Dr. Muñoz, the co-authors and their institutions. That’s way I mentioned ‘confidentiality’. Likewise, we do not have detailed information regarding the communication of Dr. Muñoz with all journals, except that she informed us that all but one of the editors have already replied and are satisfied with her clarifications. We are confident she will provide detailed information when the process is finished with all journals”. “We have indeed been aware of the PubPeer comments on the two papers authored by Pura Muñoz-Cánoves’s for a few months (see also the note I posted on PubPeer to this effect earlier this year [link here, LS]). We are in fact engaged in a constructive exchange with the relevant parties and we hope to be able to move forward in this matter shortly”. Noteworthy, some anonymous PubPeer commenters jumped to dismiss the data integrity concerns in Muñoz-Cánoves papers by declaring the striking similarities between bands to be coincidental, since very tiny pixel differences were still visible. Is Muñoz-Cánoves a hapless victim of a libel campaign by her envious colleagues? Here an example for Serrano et al, 2008, where peers even created a forensic analysis to show virtually identical shape pattern of two gel bands, which somebody still found unconvincing as evidence of duplication. “I used a variance analysis (2 pixel), to produce a map of the band and noise contours. This is a 8-bit map which put a gray-value in each pixel; this value corresponds to the variance in gray levels between the original pixel and the average of the surrounding 2 in every direction. Briefly, you obtain an image which represents the contours of bands and tiny noisy features in the gel. In a true gel experiment, both types of contours are chaotic (much more than the general shape of the bands); in the case under analysis, more than 95% of the pixels included in the contours of one variance map perfectly overlap (in position and intensity) with those in the other variance map. This is physically impossible, because thermal and other sources of noise forbid even a small portion of the contours of two features on a gel to be identical (image artifacts such jpeg compression are irrelevant when comparing contours on a variance map)”. To sum up: bands 1 and 42 in the Muñoz-Cánoves paper in the Cell Press journal Cell Metabolism are according to all evidence the same. One even clearly sees the splicing edges around band 1, demonstrating willful and deliberate image manipulation, with the likely purpose to deceive. Questions remaining here: which author was responsible and, rather rhetorically, how trustworthy are such scientists and their publications. A similar circular debate about band duplications and their denial was led for Perdiguero et al, 2007 and Baeza-Raja and Pura Muñoz-Cánoves, 2004. All these papers were published between 2002 and 2008, when Muñoz-Cánoves used to lead a laboratory at the Centre for Genomic Regulation (CRG) in Barcelona. In this regard, what makes the above described line of defense particularly remarkable is that a different CRG scientist, Maria Pia Cosma was exonerated in May 2015 of similar accusations of band duplications with the exactly same arguments (see the PubPeer thread here). Her CRG colleagues based their decision (which they made final and closed the case) on the “absence of primary data” (sic!) and a questionable forensic report from a local IT expert they commissioned. I obtained copies of these forensic analyses from one senior CRG researcher in charge, Juan Valcárcel Juárez, and had to promise him not to disseminate it (Valcárcel however in turn promised to hand out these to anyone requesting it from him). The “expert” compares western blot bands in Cosma publications which were flagged as suspiciously too similar, and takes every single non-overlapping pixel as evidence of the blot bands’ separate and independent origin. Specialists quickly demonstrated that the CRG understanding of data integrity is actually false: digital image compression during figure processing is the most likely source introducing such miniscule pixel differences. At the same time, as Bucci explained above, a certain degree of overlap between two allegedly unrelated bands serves as sufficient evidence for digital band duplication. You could do the same with your own face photograph and claim to have met your long-lost twin, evidenced by the picture of you both next to each other. Bottom line: no two physically separate gel bands, even those made from same samples under same experimental conditions and acquired with same methods can ever be that similar. It is simply statistically utterly improbable. This is why some devious scientists sometimes re-use physically different image acquisitions of the same bands in order to hide their common origin. Hence, if you splice two consecutively snapped photographs of yourself, instead of copy-pasting same photo, your case for having found your long-lost twin will look much more convincing (though you still would be cheating). In any case, one year ago CRG happily decided not to question the forensic report which showed exactly what they (and certainly Cosma herself) wanted to see. Now, exactly same defence strategy is being used to protect from scrutiny the CRG papers by Muñoz-Cánoves, which of course may be just a coincidence. What counts is: the information provided to me by her new CNIC colleague Andrés makes no mention of any investigations whatsoever into Muñoz-Cánoves work either at CRG or at the Universitat Pompeu Fabra. Apparently, all three research institutions are prepared to accept whatever Muñoz-Cánoves negotiates with the journals herself, unquestioned. Which makes it a Spanish tradition: Muñoz-Cánoves’ Catalonian collaborator Manel Esteller was also tasked by the institute IDIBELL with investigating himself (details here). Thus, congratulation to CNIC on gaining an EMBO member as new PI! Just add to the list Hector Peinado’s case which I commented in Pontus Bostrum post…. Nevertheless I must stress there are many wonderful and honest scientists in Spain who do not have nothing to do with this. And above all, her name is “Pura”, how ironic is that! Indeed, the vast majority of scientists in Spain do honest work and they need to speak out and strong to defend their work in front of government and funding institutions that reward scientific misconduct. For example, Manel Esteller, was recently forced to retract an article in Nature Genetics and has several articles under discussion in Pubpeer for suspected data manipulation. The first author of the retracted article (Sonia Melo) who did the work under the direction of Esteller was punished. In contrast, Esteller, who was the corresponding author of the retracted article, has received only awards and honors. Since the retraction, Esteller has received the National Prize of Catalonia (http://www.lavanguardia.com/vida/20160510/401707362586/el-investigador-manel-esteller-recibe-el-premio-nacional-de-investigacion.html), the Gold Medal of the Parliament of Catalonia (http://www.parlament.cat/web/actualitat/noticies/index.html?p_id=270222864) and the International Award of the Government of Catalonia (http://www.lavanguardia.com/vida/20160722/403398041504/massague-baselga-esteller-premio-internacional-catalunya.html). Moreover, Manel Esteller leads the research group that receives the highest amount of funding directly from the Government of Catalonia. This is really ridiculous. 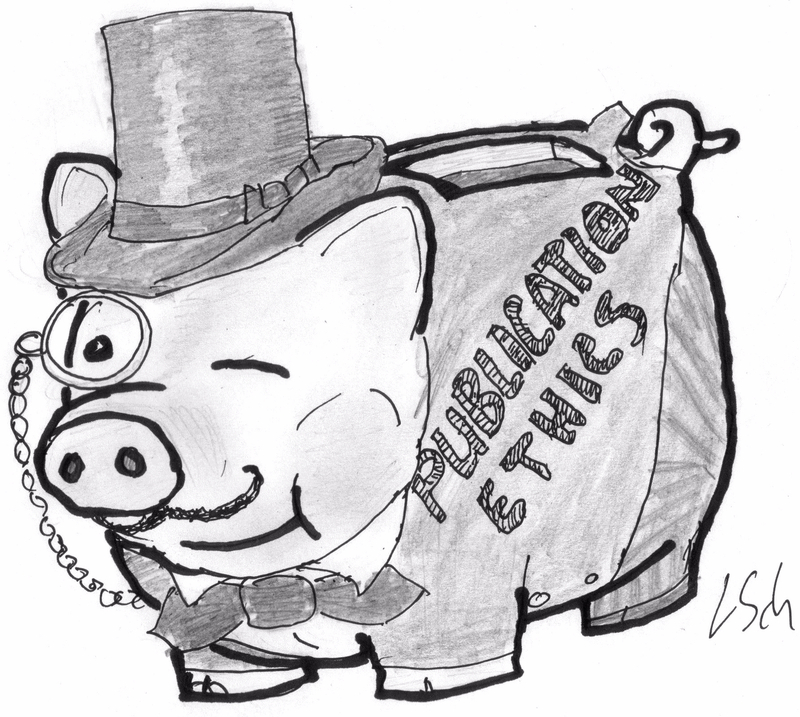 Rewarding scientific misconduct causes a lot of damage and should be avoided. All that you mentioned is true: many honest scientists in Spain complaint about their funding agencies and Institutions who promote research misconduct. Any of these good and honest Spanish scientists can tell you bitterly how science matters work in Spain. I think it is time for these good Spanish scientists to join themselves and complaint strongly against the system. Maybe this is out of science but the tree honors that you mention are awarded by the Catalonian regional Government, that is trying to become an independent sovereign state, and Prof. Esteller is a champion of this movement. Yes, you are right, regarding the honors awarded by the Catalan Government to Esteller. It is likely that one of the reasons why Prof. Esteller receives millions of euros annually from the Catalan Government is because he says what they want to hear. But he also receives millions of euros in grant funding from Spanish state agencies; it is likely that he uses the same strategy when he is in Madrid: he also says what they like to hear there, which is probably the opposite of what he says in Barcelona. None of these agencies took any action after the Nature Genetics retraction, despite the funding in grants that the retracted paper secured in grants to Esteller amounts up to millions of euros. Due to the budget cuts, the funding that Esteller received from state agencies meant that several groups had to stop doing research because their grants could not get funded. So we have here a person that takes advantage of tens of postdocs in his lab to publish many questionable high impact papers, because he knows that many funding agencies are only capable of adding up impact factor or that only fund groups that publish in fashion journals. I do not think, as you say, that this is politics. Politics sometimes, although perhaps rarely, might be good. This is really worse. Spanish scientific evaluation agencies are made of the scientific community which has to act responsibly not to be considered accomplice of this case of proven misconduct. I completely agree, when I learned that people such as Manuel Esteller Badosa, who are supposed to be leaders of the “Excellence in research” system, published high impact papers with manipulated data, I decided to act because I do not want to be accomplice of this system and because I believe this damages the scientific community as a whole. When I mention the Esteller case in scientific workshops and explain that he received three big awards after retracting a Nature Genetics paper, all my colleagues from other countries concur that if the scientific community of Spain does not explicitly ask to retire government funding to people who do what Esteller did, it can also be held responsible. The amount of funding Manuel Esteller receives in one year can serve to fund at least 40 groups at the average amount the government usually grants to small/medium size research groups. Unfortunately, many of my Spanish colleagues fear reprisals from the same system that considers that if you have not published a Nature or Science paper you are worth nothing, you do not deserve any funding and that any criticism directed to those “Excellent” scientists is just motivated by jealousy. I also agree that if the Scientific Community does not react, the “Excellent” scientists will continue their normal two-way big business with the editors of the “High Impact” journals. My advice to concerned Spanish academics: write to your media and politicians. Explain what is going on. Right now, the only version about what’s right or wrong for Spanish science is fed to them by your science elite. Your voices are needed! Leonid is right, Mon1, do you want to collaborate (anonymously if you prefer) in an article for press? I already wrote articles to media and sent several letters to politicians, but you can count on me if I can be of help. I lived 8 years in Spain, I did my PhD in Spain and I know very well the system in Spain….and also know how things work out I science in Portugal where I am from…. I also can join you in this enterprise of writing articles and letters to politicians complaining about all these spanish (and Portuguese) scientists and the overall scientific system. More than writing letters to the politicians, I think Leonid Schneider’s blog and PubPeer are giving a great contribute to change science in Spain (and in Portugal). I think indeed politicians will read the comments and posts in this blog and after that start thinking in doing something! May you please help to spread the news in the press? I do not have any contacts. Wow… They gather all their mob under the one roof!